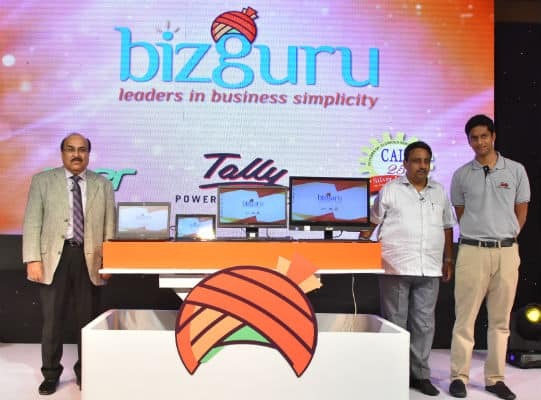 Confederation of All India Traders (CAIT), Acer and Tally Solutions launched “BIZGURU”. The solution is a one-stop plug and play business solution for all accounting and GST compliance needs. BizGuru comes with Acer’s PC products and pre-installed Tally.ERP 9 to make it easy even for small businesses. The initiative is supported by CAIT, who have been helping Indian traders embrace new technology for the last decade. The introduction of Goods and Services Tax (GST) is a remarkable step in the reform of indirect taxation. It offers a great opportunity to organizations of all sizes and sectors to transform and enhance their shift into the digital economy. One of the biggest challenges for the small businesses and traders is to understand the enormity of GST and adopt real time implementation of it. Therefore, there comes the need of a comprehensive IT solution that would enable smooth implementation of GST and will help businesses in digital transformation. Acer and Tally have been pioneers in introducing innovative products and solutions while CAIT brings with it the country’s largest network of traders. With GST coming in, considering a dire need to upload digitized transactions for invoice matching; they have joined hands to introduce – BizGuru. This solution will cater to all small businesses and traders across India who are currently using manual methods of accounting. Acer’s GST customized range of computers perfectly complements Tally’s software, Tally.ERP 9 which will be pre-installed and give businesses peace of mind that by merely switching on the solution, they can get up and running with accounting and GST compliance. This will make BizGuru a compelling GST solution in the market. Furthermore, CAIT will lead the way in reaching out to the traders and small businesses with the solution and helping the community get GST ready. Tally’s education arm will also provide a certification program to train the traders on the solution. One Stop Solution “BIZGURU” to Cater Accounting and GST Needs 0 out of 5 based on 0 ratings. 0 user reviews.